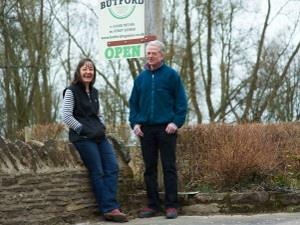 Butford Organics07807 333950work BreweryCider has been made at Butford Farm for many a long year – one of our barns boasts a 300 year old cider mill. To carry on this heritage, Janet and Martin Harris planted their first fruit trees in 2000 – a millennium orchard of cider and dessert apples, perry pears, plums and walnut trees which is now in full production. The harvest in 2015 was the best ever.